Yes, foreigners can legally own beachfront properties in Mexico. Call us at MX (984) 267-2449 or US/CA (512) 879-6546 for more information about the properties listed below or for listings that you have found on the internet; as buyer’s representatives, we can research all listings in Playa del Carmen for you. We’re happy to help and apply our market knowledge and dedication to help you buy Real Estate in Playa del Carmen safely. When you prepare to purchase Real Estate in Mexico, Playa del Carmen real estate or any type of investment, a comparison of the local market conditions is recommended in order to ensure that your investments will generate returns. Two of the most important factors to review in a lucrative vacation market are tourism developments and projected population growth. Identifying these historical figures and future trends will help you estimate future factors which are favorable to your investments, such as Playa del Carmen vacation occupancy rates, demand on long term occupancy in Playa del Carmen, environmental policies in the Riviera Maya and quality of life, which all influence the rate of your real estate appreciation. Mexico’s top 3 foreign exchange earnings sources are Oil, Remittances, and Tourism. As of today, Mexico has become a major international player in the tourism industry. Its proximity to the USA and Canada are key factors to this achievement, but its natural beauty also attracts an ever increasing quantity of Europeans and tourism from all over the world. Just in the first three months of 2017, Mexico reached a historical peak in international arrivals, registering 9.3 millions of visitors, and an income due to tourism of five billion dollars. International tourism in Mexico is projected to continue its aggressive rate of growth for the next 10 years or more, and Cancun and the Riviera Maya (Playa del Carmen is in the heart of the Riviera Maya) are Mexico’s number one tourist beach destination. Tourism has become a new priority in Mexico. The government is quite aware of its competitive advantage in the global vacation and retirement markets and wishes to strengthen its overall economy with increased infrastructure development and investments. Private investment has closely followed these trends in Mexico, which can be seen in the many major developments up and down the Riviera Maya coast: major 5 star hotel resorts, golf courses, shopping malls with renowned brands and many service companies are establishing their presence in the region. Wal-Mart, Mega Comercial Mexicana, Soriana, big shopping centers, and privately owned and operated hospitals have either opened their doors or have broken grounds in Playa del Carmen. These new industries have brought many new jobs to the region, which has also brought record number of people moving into the city putting pressure on the long term rental market as well as the Playa del Carmen real estate market. Most real estate markets have unique factors that make them ideal for purchasing. A few of these factors influence strongly on maintaining or increasing your overall wealth. We can help you identify stable regions for purchasing property considering your budget, investing goals, and also your personal taste. We wish to help you locate your Mexican dream home, where you can enjoy the beautiful Caribbean beaches and warm Mexican atmosphere. We encourage you to read and learn more in our website, browse our listings and study the Mexico real estate purchasing process. Write down your questions and we will be happy to chat with you by phone or email to help you find the answers. As in any Real Estate investment or property purchase, it is important to understand the future expenses and estimated revenues because this will determine your future cash flows and returns. Taxes are one of these expenses therefore, you should identify and learn future obligations when purchasing a property in Mexico. As in most countries, the Capital Gains Tax (Impuesto Sobre la Renta) is the highest tax. The Capital Gains Tax is collected when you sell your property and is due by the seller. The Mexican Notary Public is by law responsible of collecting this tax and forwarding these funds to the Mexican Tax officials. This process should take over 15 days from the day of collection from the tax payer. To learn more about the Capital Gains Tax, click here. We search for Investment Opportunities in Playa del Carmen and the Riviera Maya for you! Top Playa del Carmen Real Estate is not only the website with the most complete lists of properties available in the Riviera Maya; on our site, you can also review several topics about acquiring and investing in Mexican real estate. Our purpose is to inform, educate and advise you about the legalities and procedures of investing in Mexico, including other very useful information about the purchasing process in Mexican real estate. 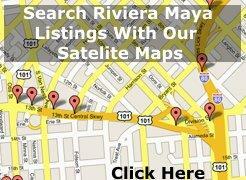 We will provide you all the information you need when you buy a property in the Riviera Maya. Compare prices and analyze property taxes. Learn more about the purchasing process. Contact us! We are here to help you and to answer any question you have regarding real estate in Mexico. We specialize in the Riviera Maya real estate market. Our staff is committed to help you find the perfect property for your investment. We offer gated communities, oceanfront condos and beautiful properties anywhere in the Riviera Maya. We can also help you find the perfect property for retirement and pre-retirement investment. This is a good opportunity for putting your money to work with the booming real estate market. Look around our listings and let us know if we can help you. The Riviera Maya Real Estate market is one of the most dynamic in Mexico. When searching for homes or pre-construction condos, it is better to work with specialized real estate agents. Even better when agents can speak both, Spanish and English. Find a team who is from, or has lived in Mexico for several years, has the know-how and experience doing business in Mexico. Our agents are experts in the real estate market in the Riviera Maya. If your interests go beyond pre-construction condos or homes, we will work with you to buy and sell commercial properties in the most efficient way. So, whether you are looking for a retirement community, a winter vacation home or a second home in Mexico, you will find it in one of the communities listed in this site. While each community and property is unique in itself, they all have one thing in common: the warmth of the Mexican culture and history to learn and explore. Thomas L. Lloyd is a Member of A.M.P.I. 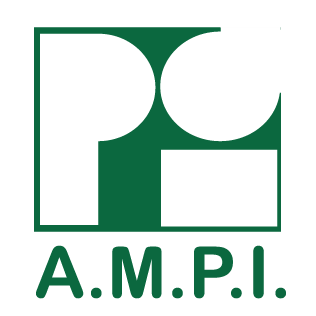 A.M.P.I. is the official Association of Mexican Real Estate Professionals. A strict code of ethics characterize the work of all its members to protect buyers and sellers in real estate transactions.